Catching up! 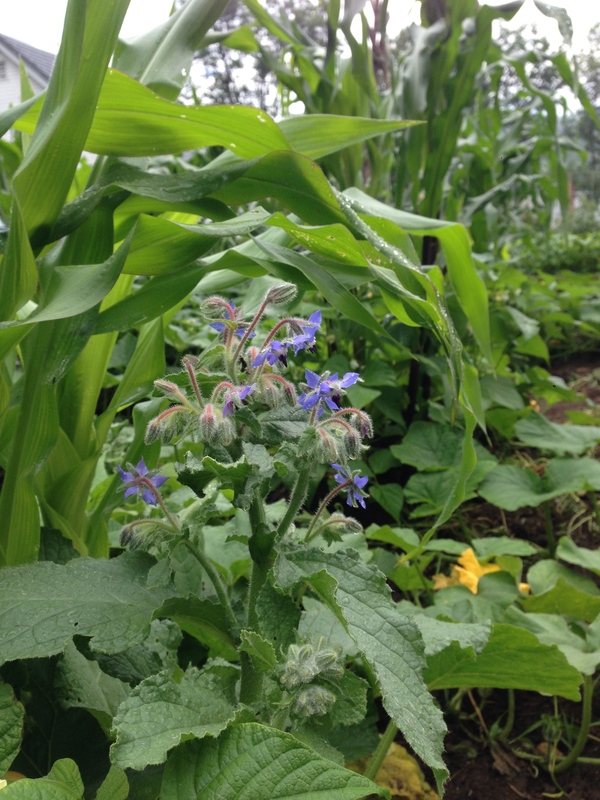 Wildwood, Quinn, Acadia & the Farm! Its been a busy past couple of weeks with limited access to internet. 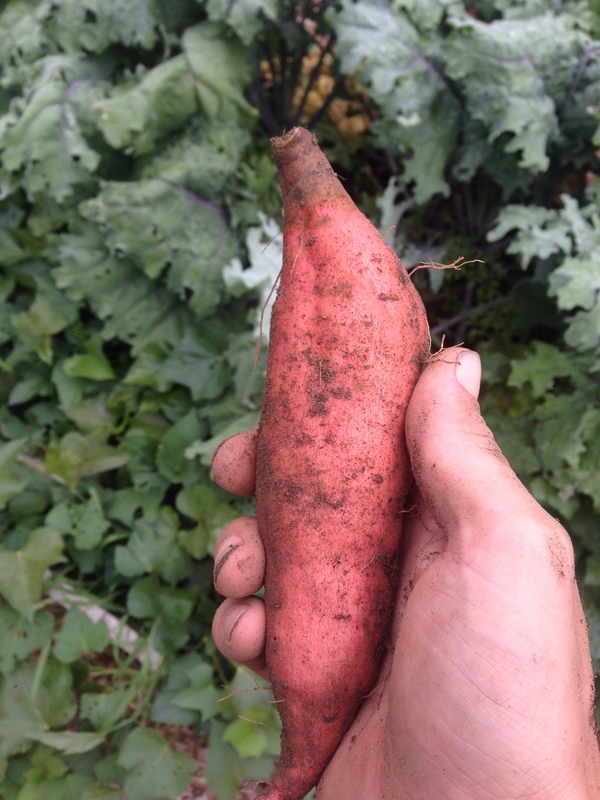 So here’s a quick run down! 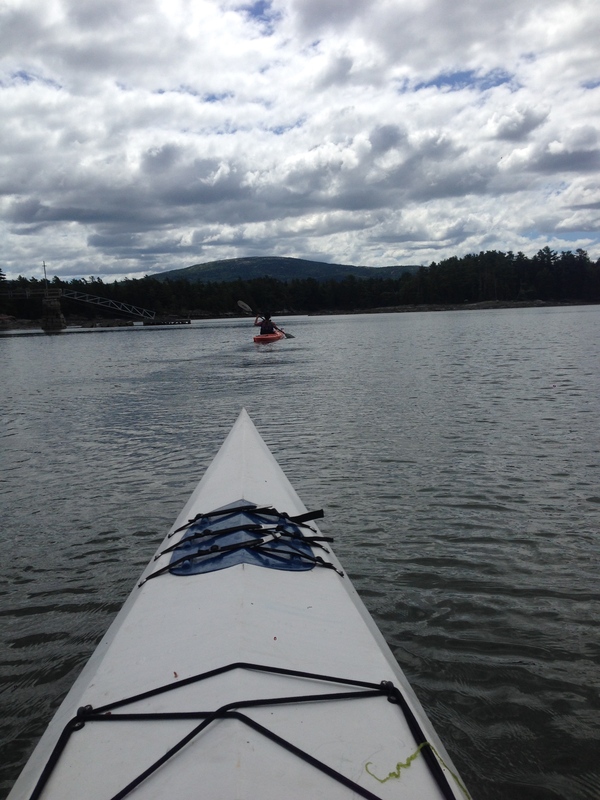 A couple of weeks ago Todd and I did a two day portion of a camp for Wildwood, which is associated with Mass Audubon. The campers where in the White Mountains for a week, doing some hiking and trail work in addition to their two days with us. 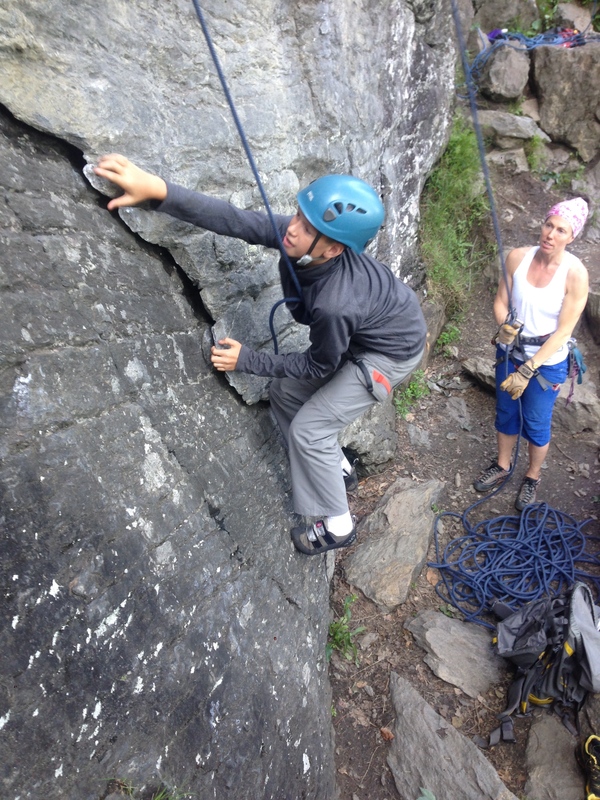 We had a good time showing them the ropes on Rumney’s single and easier multi pitch terrain! Last Monday I was joined by Quinn at Rumney. 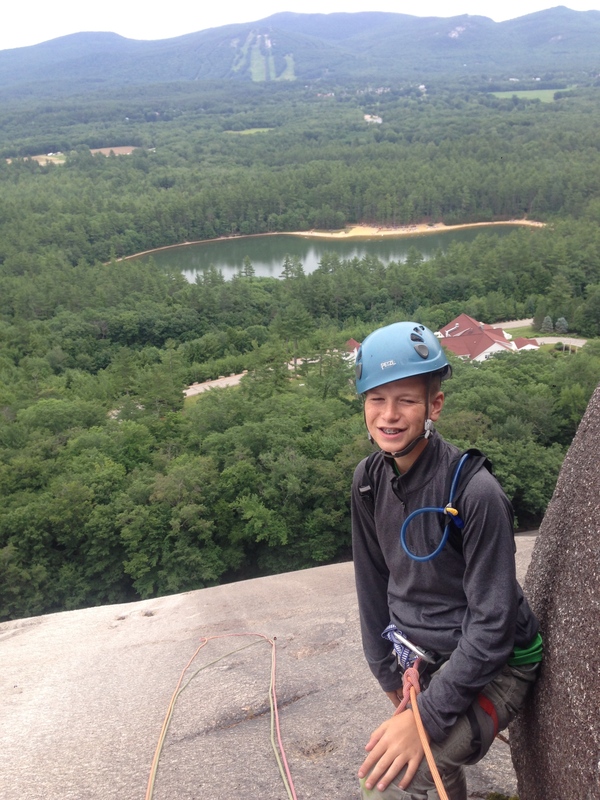 Quinn’s dad takes his sons on various cool adventurous trips, but climbing was a first. Quinn, or “muscles” as his dad called him, lived up to his nick name. 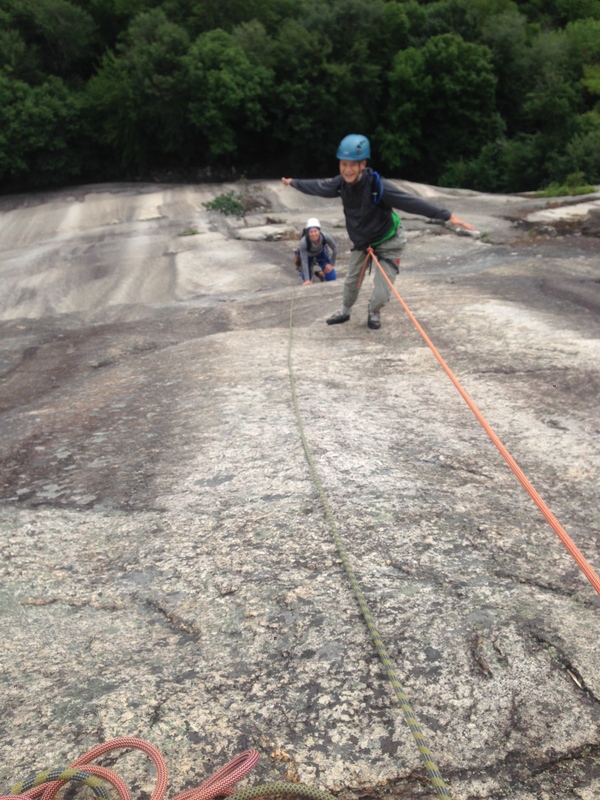 For a first day we were able to climb a good number of pitches at a relatively difficult level. 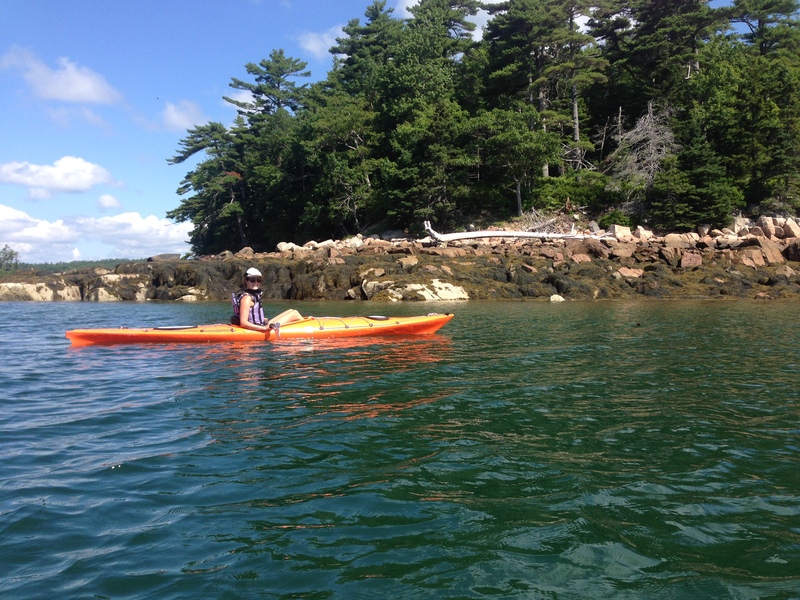 Immediately after climbing with Quinn, my girlfriend and I took off for Acadia in ME. I use to vacation here frequently as a kid, and now my dad care takes at a campground on the island. 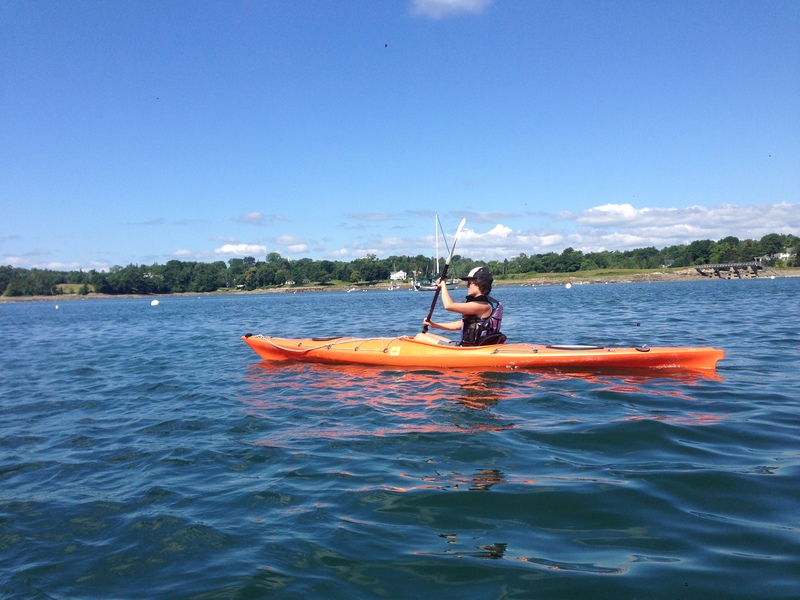 We had a great visit with him and his wife, along with sentimental, for me, stops in various towns along the ME coast (Bath, Woolwich, Rockland, Camden, Belfast…) and a good time paddling climbing and hiking around the Island. An afternoon and evening of climbing classics. 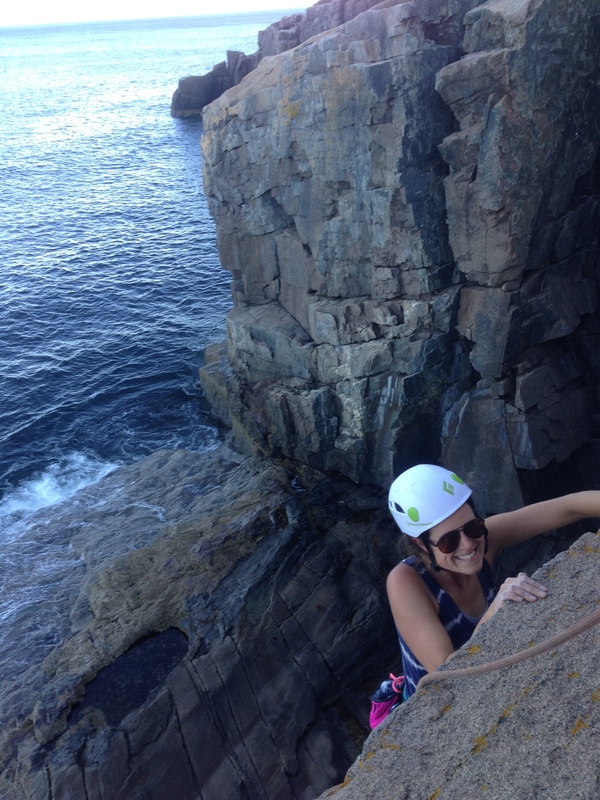 Story of O on the South wall, and some of the fun climbs on the Sea stack at Otter Cliffs! 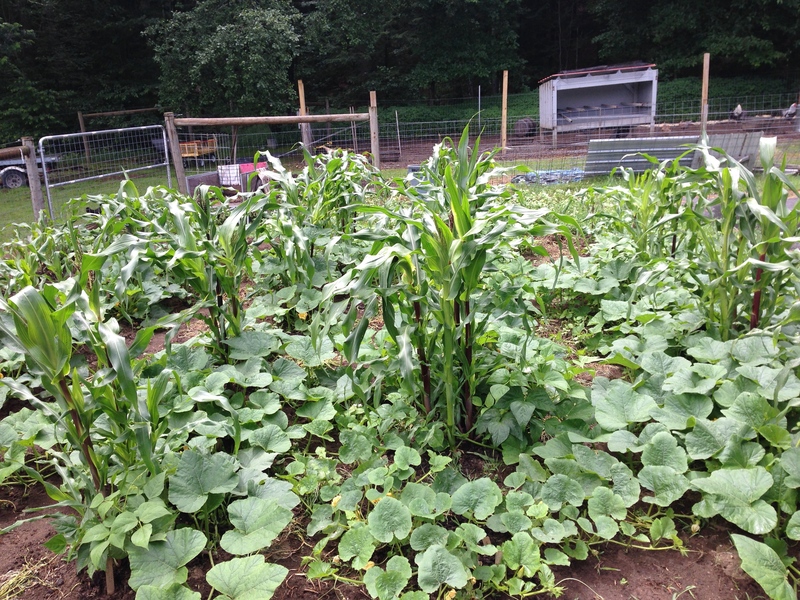 In between work and vacation I’ve been trying to catch up on work on the farm and more importantly visiting it for nutritional and spiritual sustenance during this hectic time! This entry was posted in Uncategorized on July 29, 2015 by ethatcher89. This past Holiday weekend I was joined by Tracey and Mason. Tracey is an incredibly well traveled climbing, having climbed with Mountain Guides all over the American West, as well as abroad. 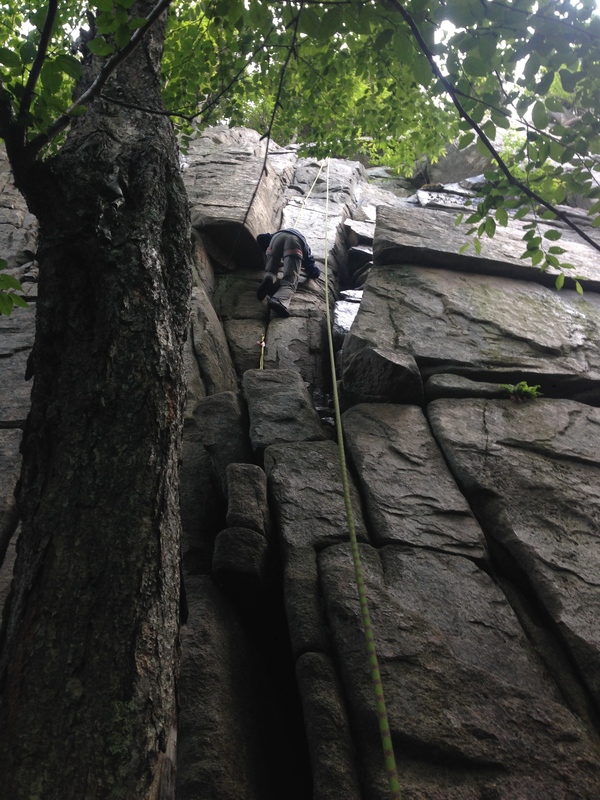 Work brought her to New England for the the week preceding the holiday, and she decided to sample the climbing here, as well as get her God-son, Mason, on rock for the first time. Day one for us was at Rumney. 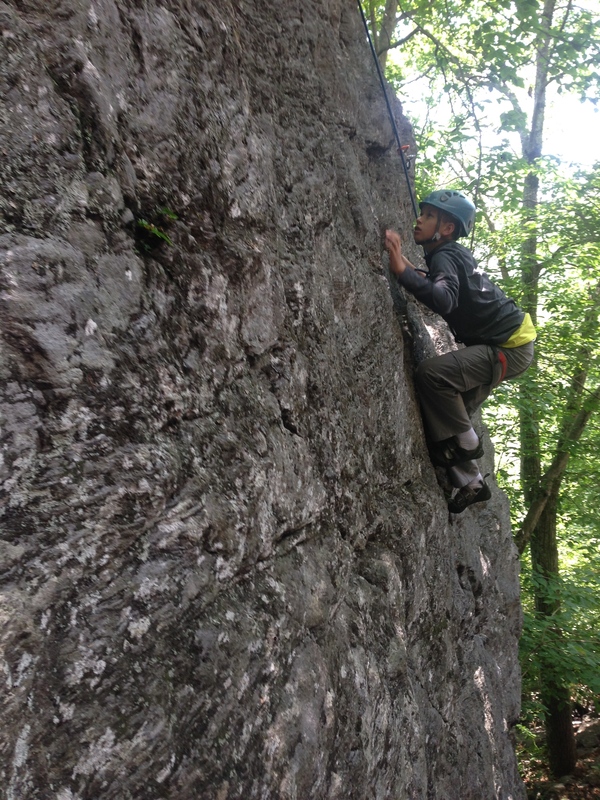 The climbing at Rumney is well suited to new climbers. The style on the easier climbs is intuitive even for those with little experience, (grab hold, step on foot hold, pull down and step up, repeat.) while still being engaging and fun for everyone. In addition, the leading and transitions are quick, so a lot of terrain can be covered in a day. 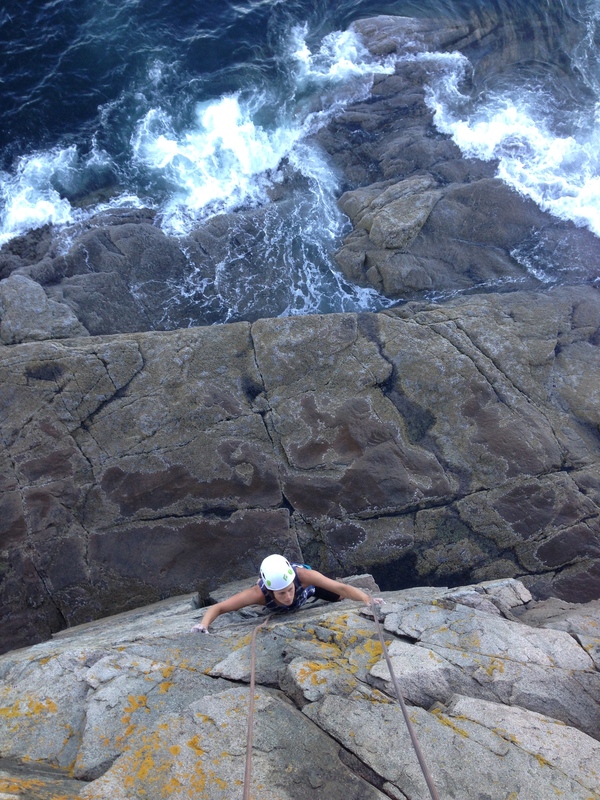 We climbed at multiple cliffs, and Tracey even got on the sharp end some to hone her skills. 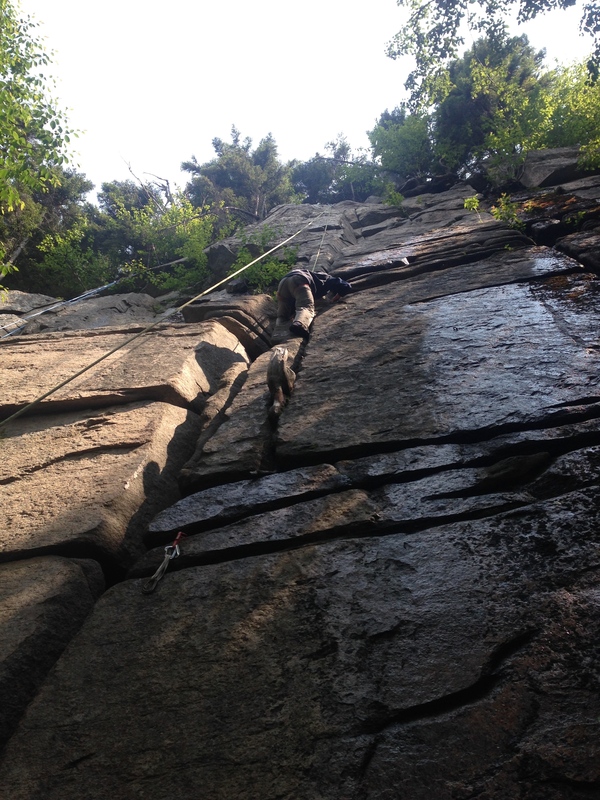 On day two we stepped it up a notch to experience some multi pitch climbing. 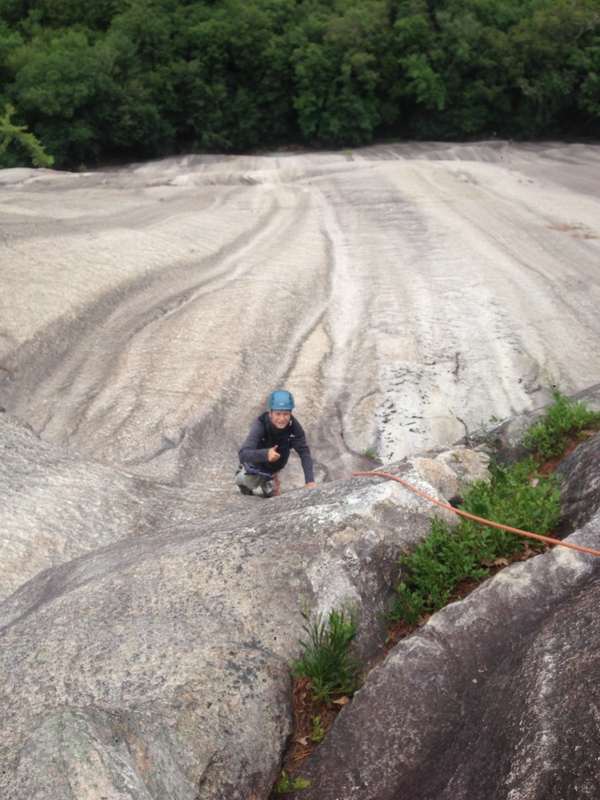 Whitehorse is another ideal venue for introducing beginners to multi pitch, and Tracey was excited to sample some of the local Granite. 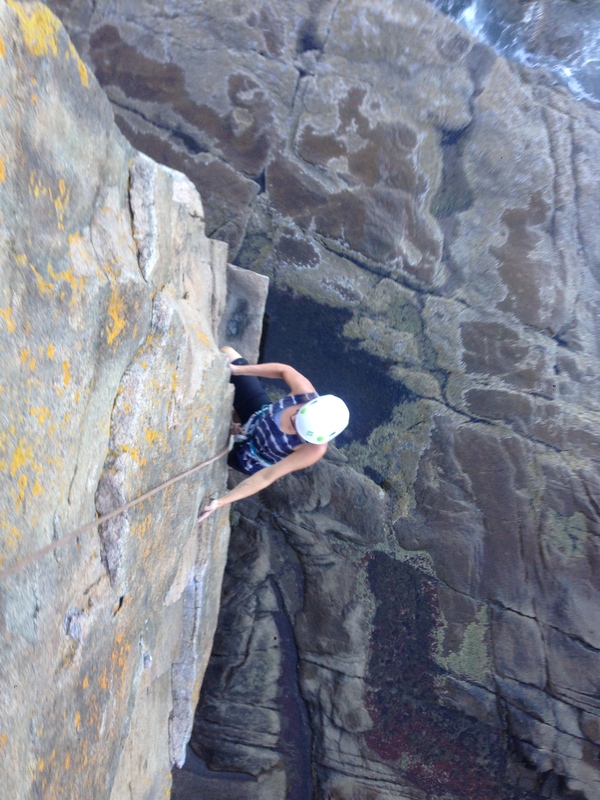 In the morning we climbed the first 3 pitches of Sea of Holes. 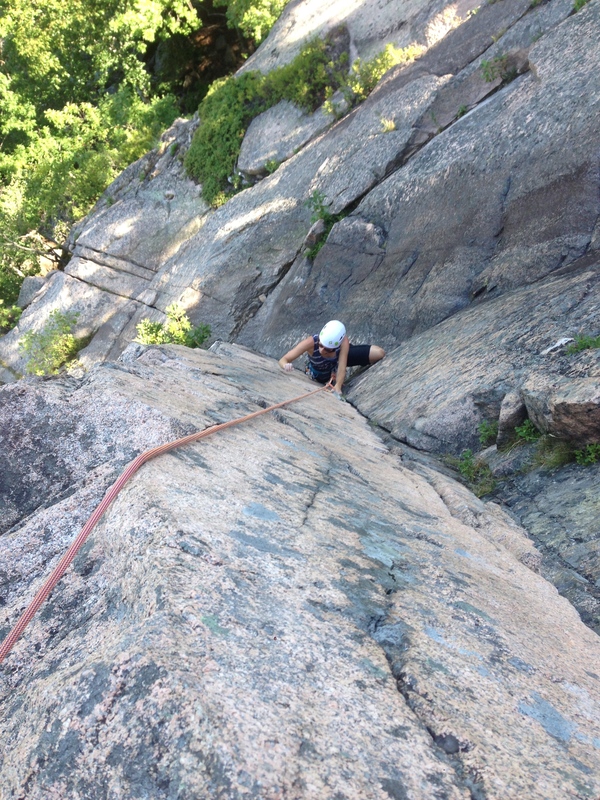 This route ramps up from an easy first pitch to an engaging and interestingly featured third pitch. From here we rappelled back to our bags, some water and a well needed snack. After our brief snack Tracey decided she wanted to practice her multi-ptich skills on another similar climb. 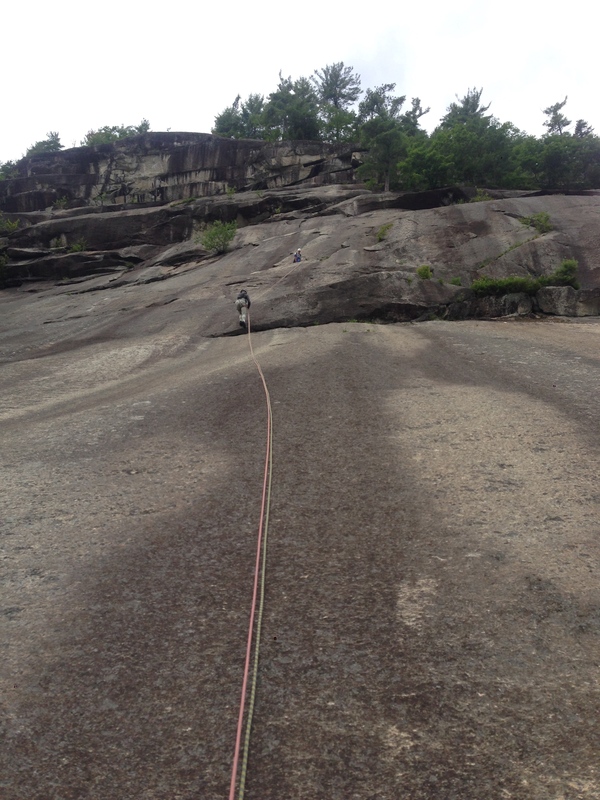 The biggest crux to multi-pitch climbing, especially with a party of 3, is the rope management. Standard Direct is a prime route to practice this on. All but one of the anchors are bolts, and the climbing goes quick. 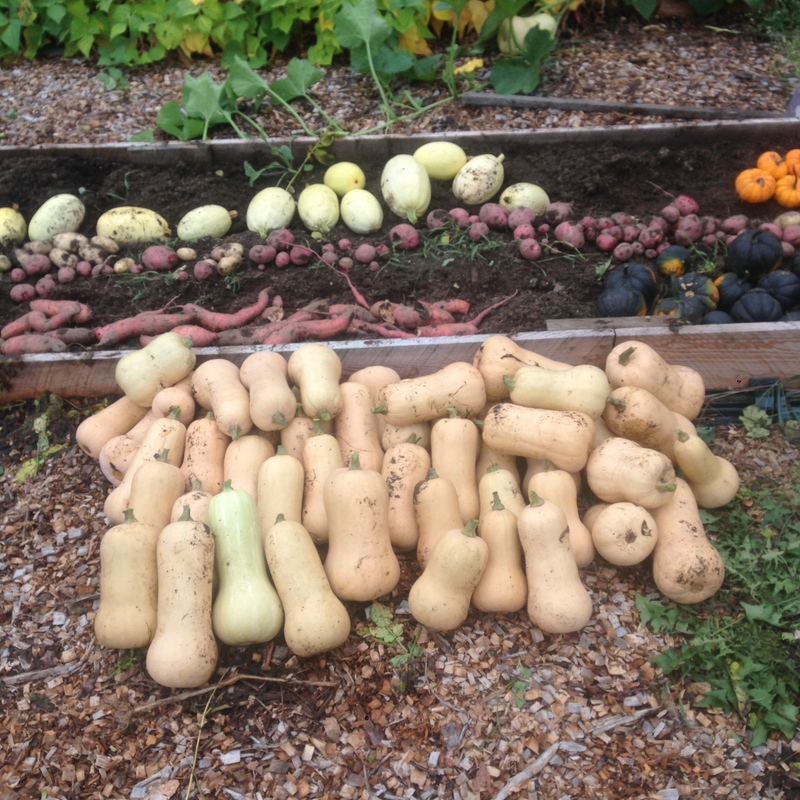 In a brief couple of hours Tracey got to manage 3 transitions. The rust from not using those skills in some time quickly wore off. Mason and I had a great time following her up another fun route to about 500′, and she did an excellent job leading the way! 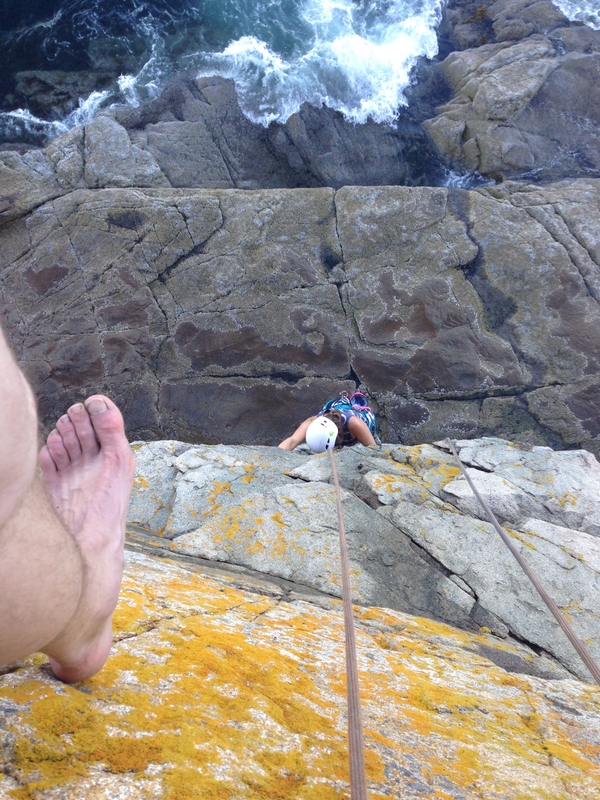 What would a three day intro to climbing be with out a bit of crack climbing 101? Our third day was necessarily short due to play departures. 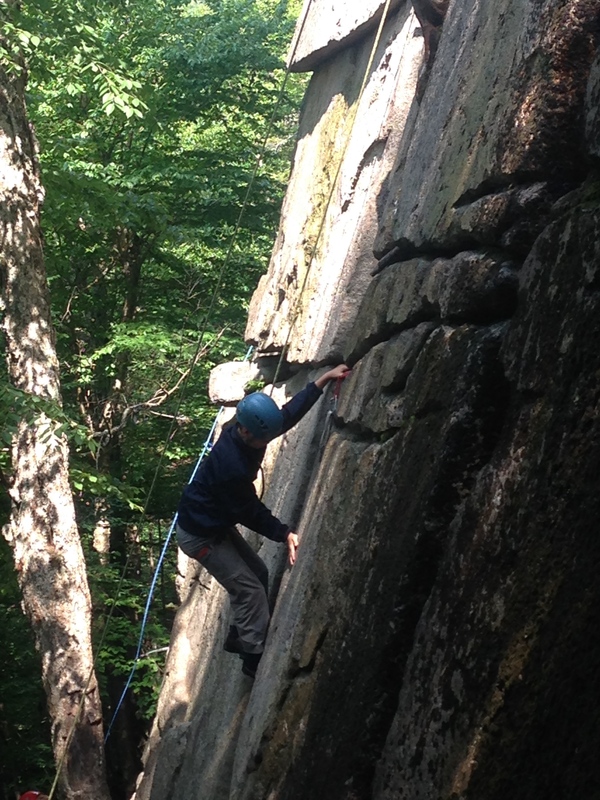 Luckily, we have access to a great intro crack climbing area in Franconia Notch State Park. 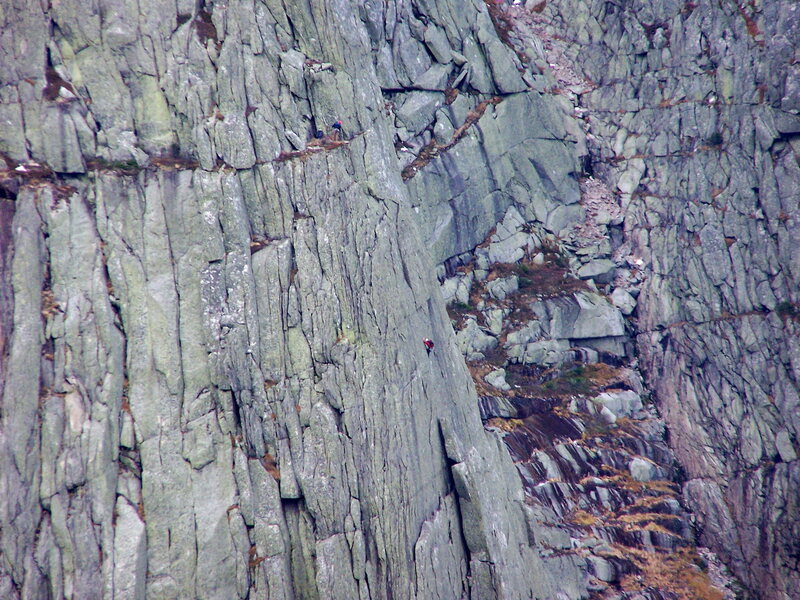 Echo Crag is roughly 40′ tall with solid granite and a variety and crack climbing styles all right next to each other. This technique is a bit hard for beginning climbers to grasp as its more reliant on balance, and refined jamming technique. 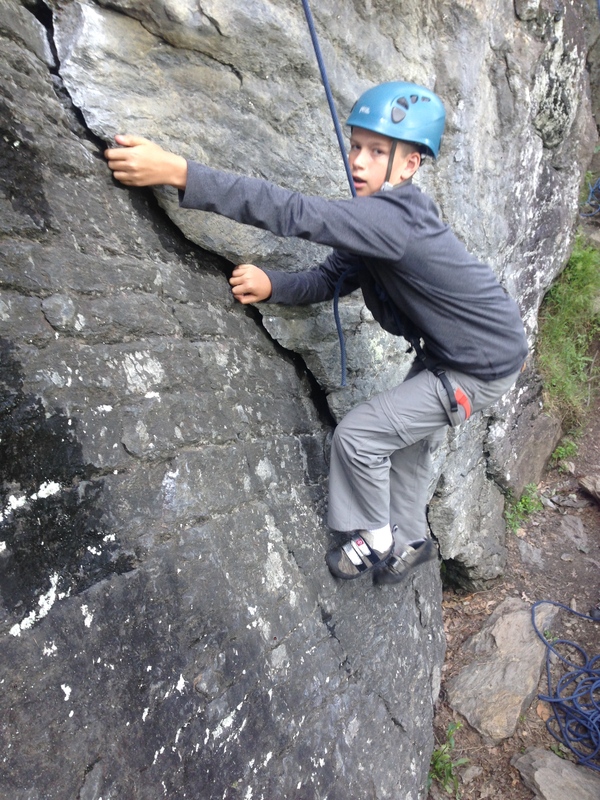 Tracey did superbly well here, as was to be expected, and Mason took the new style of climbing in stride. 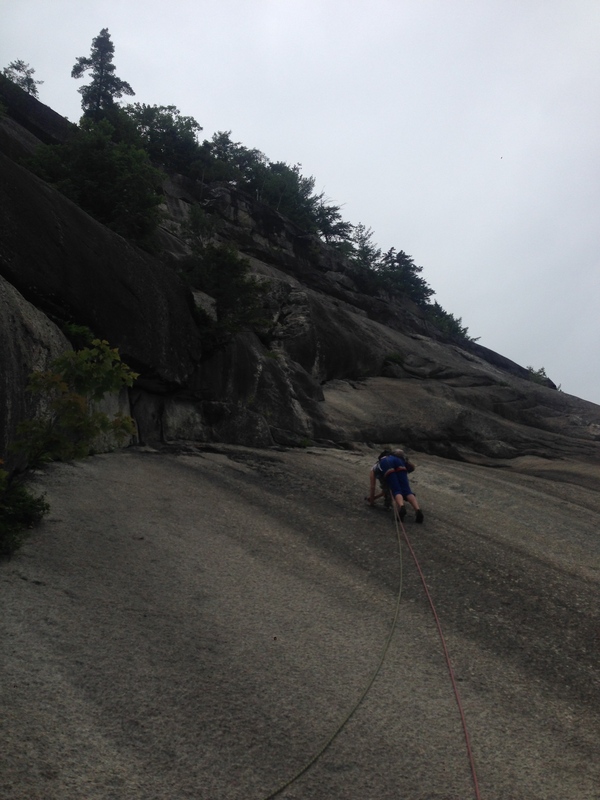 This was an especially great weekend of climbing for me. 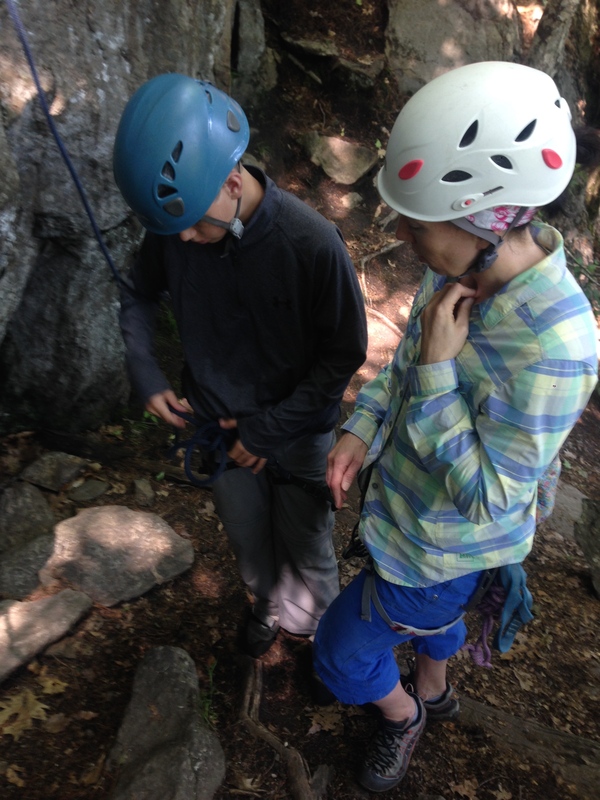 There’s a lot I love about guiding, but sharing the local crags with an out of town climber, and introducing new climbers to the sport, and especially the variety with in it, are two of the best. 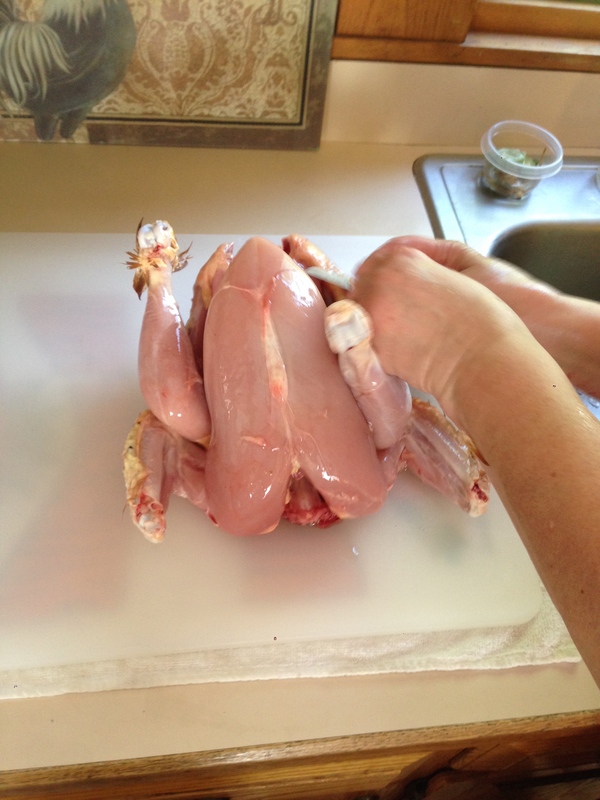 This entry was posted in Uncategorized on July 12, 2015 by ethatcher89.